This location has been in business since 1965, and it has been a part of the Kuhn family since 2004. When you get right down to the heart and soul of this dealership, we are just a family owned business that is always seeking to do right by our customers. If that means helping you into your dream VW, or finding you the perfect used ride, then we are always more than happy to help. When you are hunting for the perfect car or SUV, then you need to come down to the state of the art Kuhn Volkswagen facility right here in Tampa. Our location is right next to the airport. That means we are easy to find, and if you happen to be flying through Tampa, then you can stop in and see our wonderful selection, and maybe even pick yourself out a great vehicle today. We are right near the heart of Downtown Tampa, and not only can we serve the entire Tampa Metro area, but we can also serve countless locations all across the Bay Area including areas like Carrollwood, Citrus Park, Wesley Chapel, Land O’ Lakes, Largo, Clearwater, St. Petersburg, and Apollo Beach. 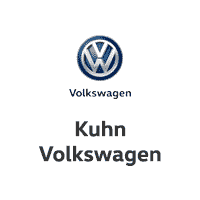 If you are in the area and you are on the hunt for the perfect vehicle, then come to Kuhn Volkswagen today. We have all the new Volkswagen vehicles that you are interested in. If you have always wanted to take a ride in a VW, then you need to come down to Kuhn Volkswagen and see our inventory in person. We have a vast selection of the latest Volkswagen models including Passat, Jetta, Tiguan, and many more. You can even try out a Golf hatchback, a Touareg SUV, or the iconic Beetle right here at Kuhn Volkswagen near Downtown Tampa. Stop in and see us today, or browse our digital inventory and schedule a test drive. You will be glad you did. If you are thinking about getting a used vehicle, then you are in luck. Not only do we have a vast selection of used vehicles spanning numerous brands, but we also have an extensive selection of Certified Pre-owned Volkswagen vehicles. All of our vehicles have undergone a meticulous inspection process, and our Certified Pre-owned selection comes with a factory-backed warranty that you can rely on. No matter what vehicle you are interested in, you can rest assured that the Kuhn Volkswagen team will give you the individual attention that you deserve when you are out there car shopping.